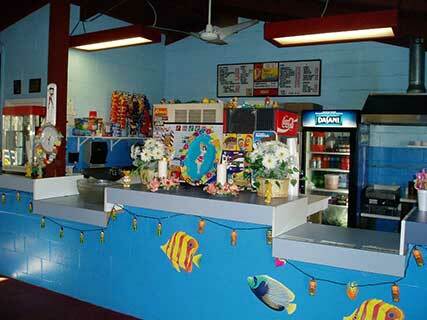 This is a view of our full-service snack bar. Many times we are told we have the best tasting cheeseburgers in South St. Louis! Our food is very reasonably priced. We also serve Gus’ pretzels, hotdogs, chicken nuggets, pizza rolls, fountain soda, ice cream, popcorn and many other items.